We boarded a night flight to Kolkata, reached there and stayed overnight. 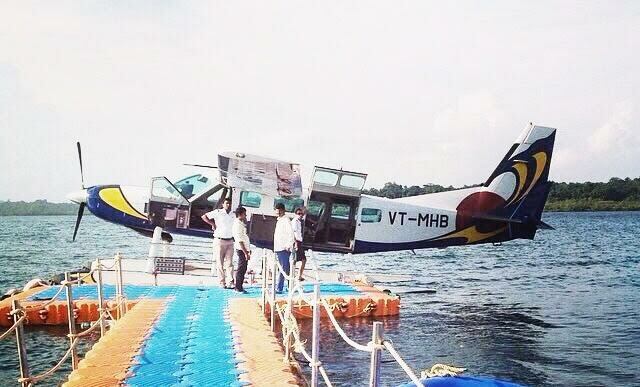 An early morning flight from Kolkata took us to Port Blair. You have two options to reach Havelock island from there. You could either board a seaplane or take a ferry from there. The sea plane takes about 15 minutes while the ferry will take around one hour. The sea plane cost us Rs 4,100 per person then and could accommodate 10 people. Since there is luggage space constraint in the plane, it is best advised to travel light. The sea plane was scheduled to leave about an hour later. We thought of using the time at hand wisely and decided to visit the iconic Cellular Jail. The jail has a lot of historical significance for Indians. The jail popularly or rather notoriously known in India as Kaala Paani was where Indian freedom fighters were exiled by British. It is now a national memorial monument. We saw the deplorable conditions in which our freedom fighters were holed up in those dingy cells. It was a proud moment to see how those brave hearts braved those conditions yet continued with their freedom struggle. After this dose of patriotism, it was time to rush to catch our plane. Being on the plane was an experience hard to describe in words. It was our first view of the endless natural beauty on display. Pristine blue water dotted with equally pretty small islands and white and golden sand completed the stunning picture. Those 15 minutes on sea plane with such scenic aerial views prepared us for the picturesque vacation ahead. Our stay at Havelock Island was Munjoh Ocean Resort. The resort boasts of personal white sand beaches, arrangements for Jet skiing, snorkeling, fishing and other activities. This was all part of our itinerary. Another highlight of the resort was their kitchen. They had ample options for everyone with various dietary preferences. On our first night they offered us an amazing meal on the beach for dinner. Enjoying seafood to the sound of waves on a clean beach made for a memorable experience. 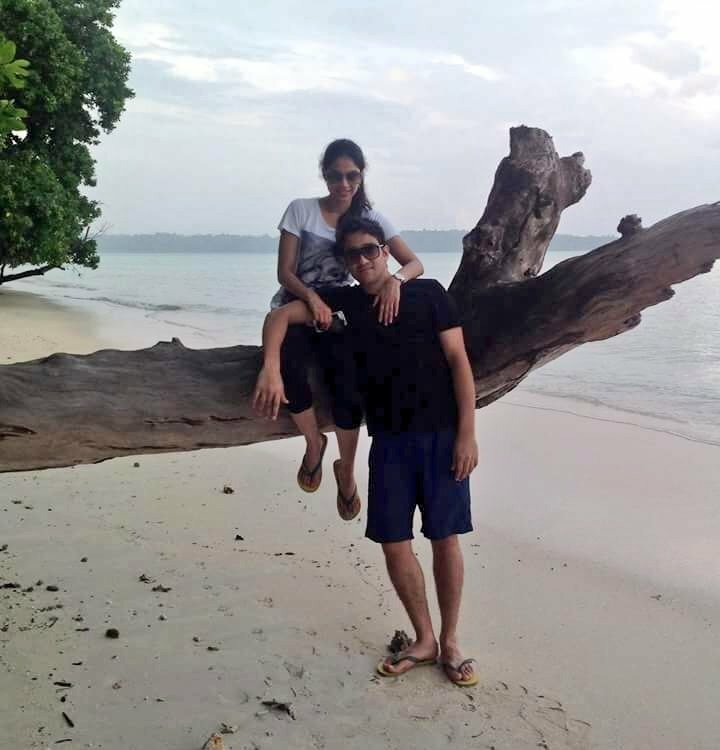 After a day spent travelling and soaking in the charm of Andaman, we decided to call it a day and slept early. The first stop on our second day was to be Elephant beach. It was 30 minutes away from the resort by speed boat. The speed boat ride was another beautiful journey and by now we were well and truly smitten by the unadulterated natural charm of this archipelago. 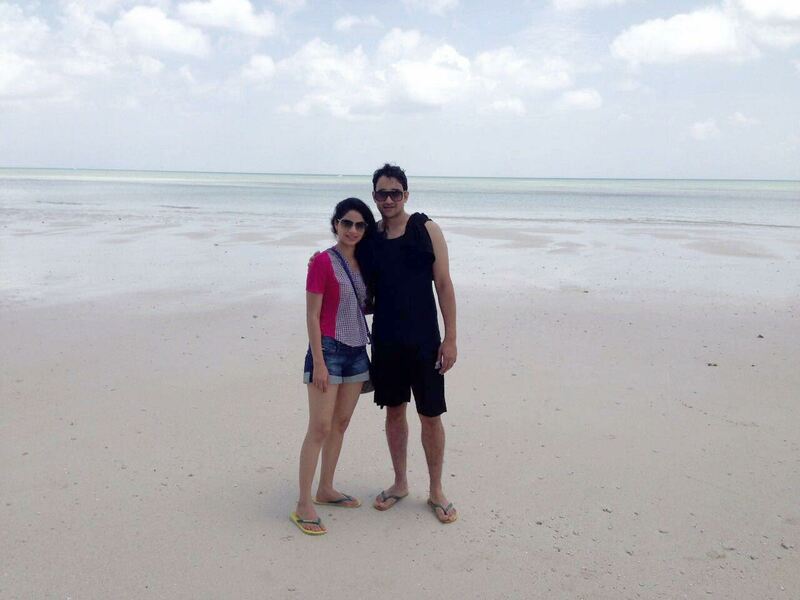 Elephant beach is a picture perfect scenic spot for families, couples and tourists. You can laze around and chill on this beach yet never have enough of the pretty sights. After spending some time at the beach we started for Radha Nagar beach. It had started raining. Rains in the sea can be a fascinating as well as frightening experience at the same time. Radha Nagar beach also known as number 7 beach has to be one of the best and cleanest beaches I have been to. We enjoyed a swim in clear waters, rested on the beach and caught a delightful sunset. We went back to our resort by road where we had fresh seafood awaiting us for dinner. The dinner like last night was laid out on the beach. "The lazy island life with all its charms starts growing on you in Andaman. Relaxing on beaches, soaking in unmatched views and dining in sand to the sound of sea waves is all too enchanting." This was to be our day in water. It was to started with snorkeling followed by fishing and then island hopping on speed boat. Our food and alcohol were stocked by the resort in boat and other supplies and security equipment were loaded. A word of appreciation for the resort here. Their arrangements were all very good and security precautions were all in place. I may have repeated it earlier but will do so again that the water and beaches are unbelievably clean and clear. The different shades of aquamarine juxtaposed against white and gold sand are the memories of Andaman that stay with you forever. We enjoyed snorkeling and lazed around admiring aquatic life on display. We went to Deer Island that day as well. While sun and sand are too enticing, I would like to add here that every traveller here should carry their caps, scarves, mosquito repellents and seasickness tablets. Another highlight of the day was fishing. We got into this fishing huge boat/ship and even got to steer it on our own for sometime. Fishing in open sea was another experience in itself. After a day spent in the sun and getting tanned, it was time to end our day with our daily charming ritual — dinner on the beach. Since this was to be our day under the water enjoying scuba diving, we opted for a light breakfast. We reached our spot and spent the first half of the day training for the dive and practicing and perfecting the signals our trainer suggested. That was followed by the actual dive. "Going under water and seeing the sea life from this close is an experience everyone should tick off from their bucket list at the earliest. 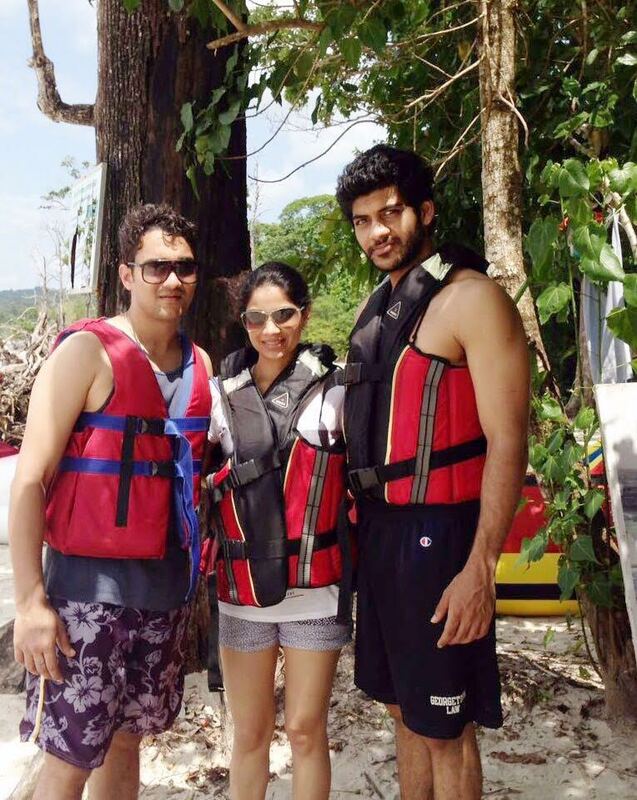 I would count myself lucky that I did so in the crystal clear waters of Andaman." After the dive we doused our hunger pangs with the sandwiches that we had carried along with us. Having enjoyed Andaman island and all its beauty to the fullest it was time for us to leave for Port Blair. We reached there in evening and checked in to Fortune Bay Resort. Since we had to stay here overnight before catching a flight back home to New Delhi, we decided to catch the famous light and sound show at Cellular Jail. This was a beautiful narration of Indian freedom struggle. We started for New Delhi next morning and were back among the bustle of city fulfilling back breaking schedules navigating through maddening traffic. What even today soothes us in between all this madness are fond memories of pristine settings we were witness to. The most widely spoken language on the islands is Bengali followed by Hindi, Tamil, Telugu and Malayalam. So you could brush on at least two of these. Good news for wildlife freaks. Andaman and Nicobar Islands have India’s best nesting beaches for three species of marine turtles – Hawksbill, Green turtle and world’s largest sea turtle, the Leatherback (Dermocheleys Coriacea). The only active volcano in the entire Southern Asia is present in Andaman and Nicobar Islands. Barren Island, situated 135 km away from Port Blair, is where you can see this live volcano.